A group of men from the Wargrave area of Newton-le-Willows hosted a drop-in event to highlight the importance of working together to support men. The ‘What Keeps Men Well’ event, hosted by Wargrave Boys and Creative Arena at Newton Community Centre, included a photography exhibition, walking football sessions, a marketplace of support services and a Q&A session to give people the opportunity to find out about the Wargrave Boys group. In attendance were members of the community, services such as St Helens Council’s Healthy Living Team, State of Mind, Creative Alternatives, St Helens Sports Development, Sexual Health and Voluntary Action, as well as the Earlestown Film Studio and Enjoy Football. 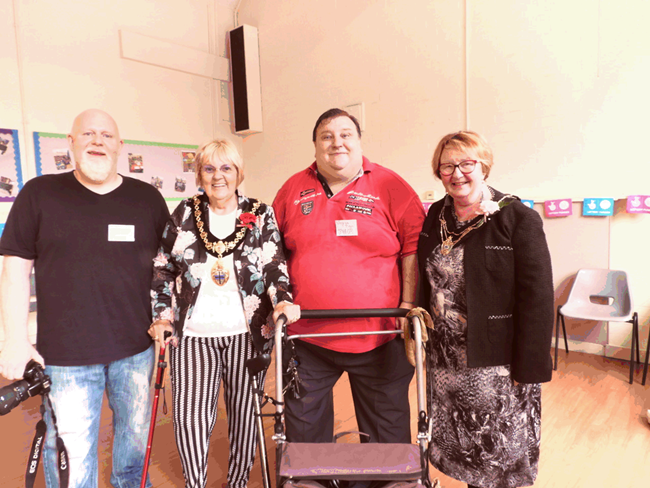 The Mayor and Mayoress of St Helens were also present on the day. Councillor Ireland said: “The men from the Wargrave Boys group are such an inspiration. It’s so important that we have spaces like these for men to be able to come together and support each other in a safe and friendly environment. If you or someone you know needs support, visit www.sthelens.gov.uk/mentalhealthsupport for information on local and national support services. ← Calling West Lancashire businesses!